Here you get an overview to all RiderSystem courses! Kids need adult boards just as little as they need adult coaching methods. What they do need is a program of courses which is adjusted to their strength and kinetic learning capability and training that is all fun and no hassle. In the Kids Courses A – E, they don’t just learn what is taught in the Basic 1 – 3 courses adapted to their development potential. For the first time they are able to ride full speed in snow with kids of the same age. So you finally want to experience what your friends have long been raving about. The unique feeling of curving with both feet on one board – the complete freedom of gliding over an easy beginners’ area and the fun of riding across your first beginners’ slope. You will be fitted out with an Allround board, or the easy-to-release Freestyle or Freeride board. You will wear comfort-able hard or soft boots with or without a step-in system. Above all you want to have fun snowboarding and be able to ride anywhere. 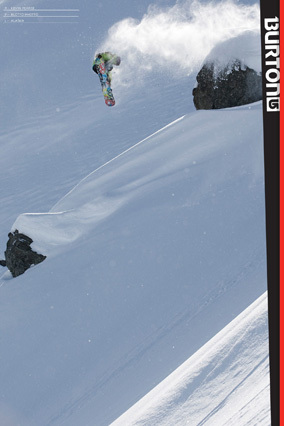 Freestyle, Freeride and Carving are all included and it doesn’t matter which binding or board you use. The main thing is you have a great time! In the Allround Courses you get to try out all aspects of snowboarding. It makes a complete snowboarder out of you and provides you with the best possible basis to turn you into a Freestyle, Freeride or Carve and Speed specialist. You want to widen your range of tricks, identify your limits in the park and pipe. As far as you are concerned, extended airs and spins are what real snowboarding is all about. But smooth, powerful riding over the piste must not be neglected because even such a slope should be used creatively. For this you get fitted out with the racy Freestyle board and softboots with the right support. The course will take you from pipe basics to simple jumps and moves in the air. As half pipe riding requires a great deal of practice and training, these courses are designed to build specific half pipe skills so that you can become a future half pipe specialist. Introducing the new Premier Snowboarding school. There are two courses available so that you can become the complete snowboarder. In the first we can teach you to ride a rail without breaking bones, and on the second we can teach you to jump on a kicker without scaring yourself out of you skin. You would do powder, grooves, cliffs, park, jumps, speed and much more if you were King of the Freeride! Whether you prefer piste or backcountry, complete mastery of the board on the ground and in the air is a must if you want to enjoy unrestricted freeriding. We’ll make a backcountry specialist out of you with the first rules of conduct and tactical slope know-how. You’ll be fitted out with the directional Freeride or Freestyle board and soft boots with good support or with a step-in system. Your world is precise carving technique with maximum hold using the edges of the board on any surface. Smooth, prepared pistes with from moderately steep to super-steep runs is where you like to be. Yet you know that you can only win the battle against centrifugal force with perfect technique and by applying your strength correctly. You get the Raceboard or the Freecarve board with plate bindings and hard boots. For you, snowboarding is more than just a hobby. You want to make further progress and in winter earn money with your snowboard. The Master Course gives you an in-depth knowledge of all you learned in Basic courses 1 – 3 and the corresponding theory behind it. You will progress from pupil to teacher. Once you have successfully completed a course in the groups Freestyle, Carve and Speed or Freeride, the master course allows you to be admitted to SSBS instructor train-ing without taking any further tests.